For me going to Singapore is a bit like just going into town. It is something that I do quite frequently. In fact, Singapore is the place that I most frequently traveled to. Not out of a burning desire to go there. But for reasons of necessity, practicality, and convenience. Visiting Singapore is something that is no big deal for me. Yet I enjoy it and usually look forward to it. But this visit was somewhat special. Firstly, it was one of those rare trips with my ‘missis’ only. Secondly, I wanted to purchase a camera which at that time I could not find in Indonesia – namely the Panasonic LX10. 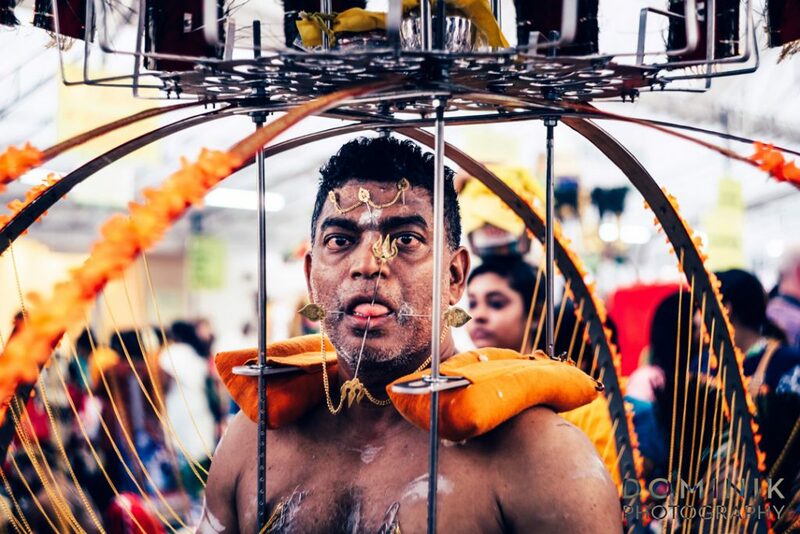 But the main thing was THAIPUSAM, the largest yearly Indian religious ‘festival’ in Singapore. 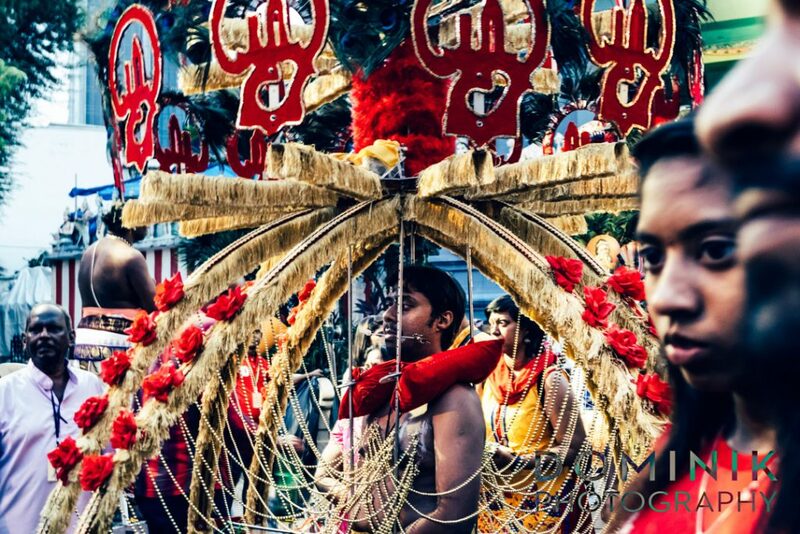 In my opinion, a ‘cultural pearl’ that brilliantly epitomizes the ‘vibrancy of Singapore’. 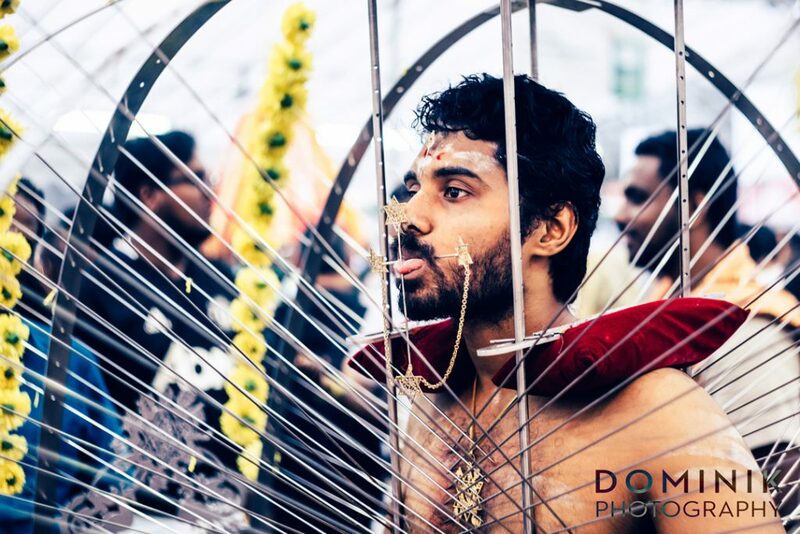 I had witnessed Thaipusam over 20 years ago in Kuala Lumpur and it was quite an experience. I had to see it again. And this time with a camera. Why are you looking at me like that ? 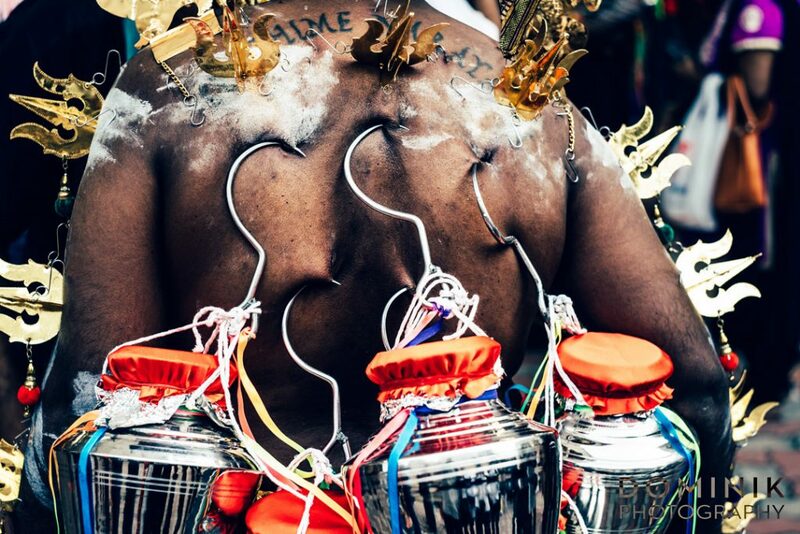 I won’t go into explaining what Thaipusam exactly is and what is its religious significance. 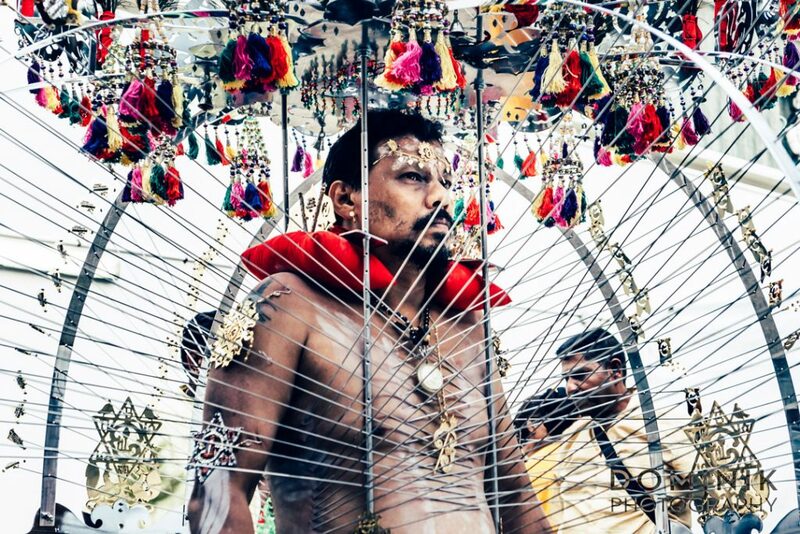 If you want to delve deeper you may want to check out the following Wikipedia article about Thaipusam. What is pretty obvious is that some sort of ‘masochism’ is involved here. 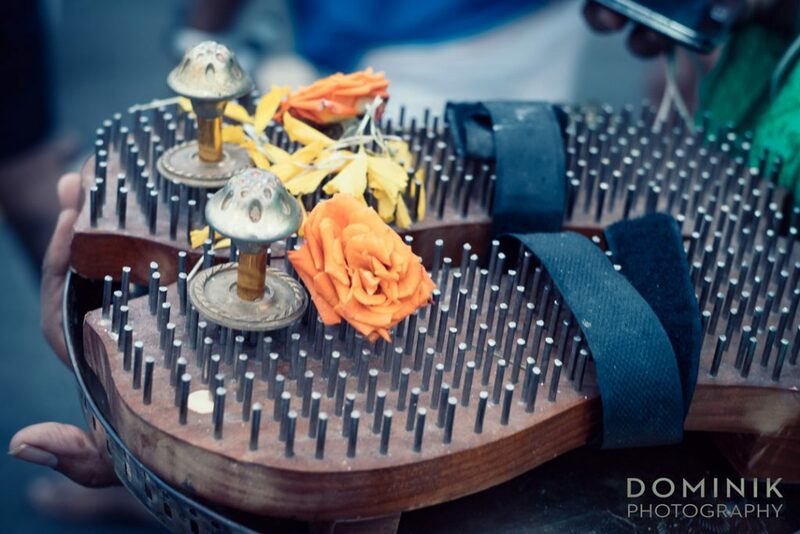 Some ‘self-torture’ or testing one’s tolerance to pain. 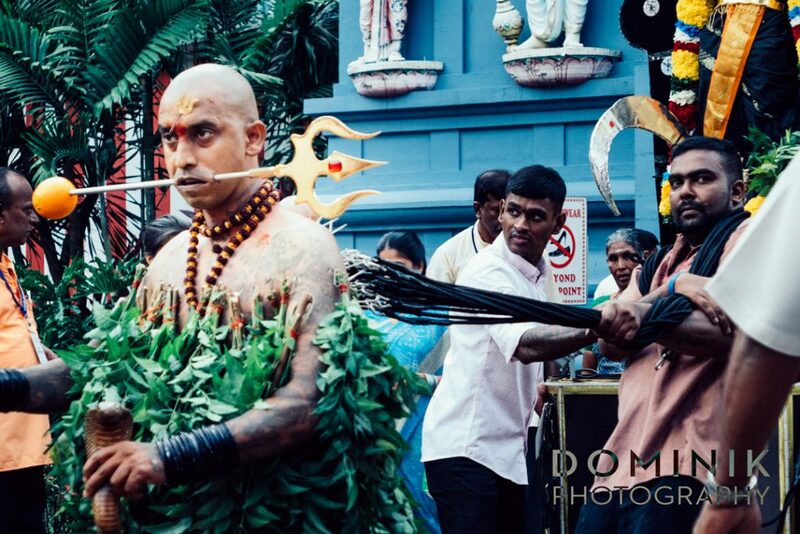 All in an effort to appease the gods. Surprisingly those guys do not seem to be in pain. And sticking needles through one’s cheeks and putting gigantic hooks into the skin seems to be the most natural thing for them. This ritual is not restricted to men. 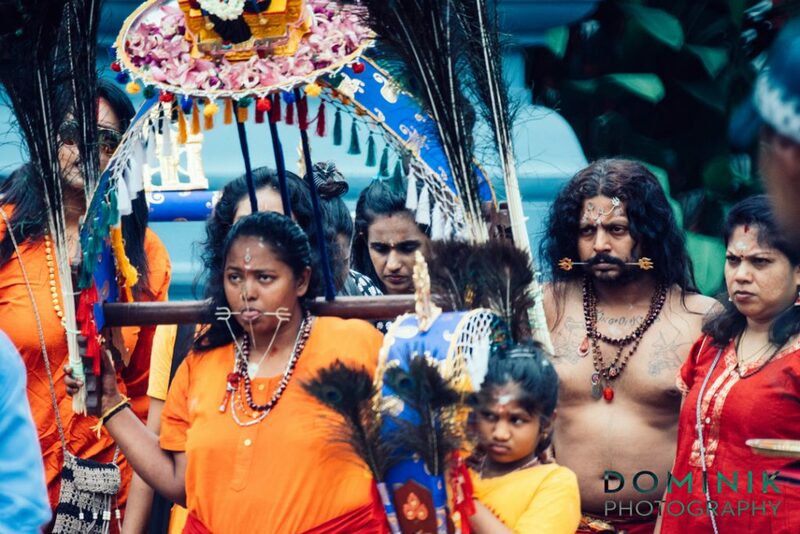 There are quite a few women who also take part in and perform these rituals. 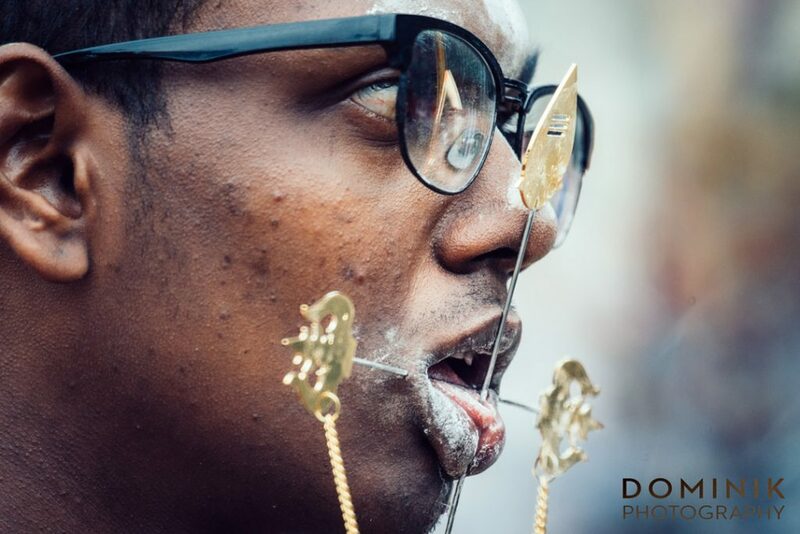 Even a few children practice some form of piercing for Thaipusam. One thing I can assure you is that there is no ‘trickery’ involved. And the folks are not sedated by any substances nor are they in a state of trance. How exactly they do it I dunno. And to be honest I am not keen on finding out. Coz even if I would know how it’s done I won’t try for myself. 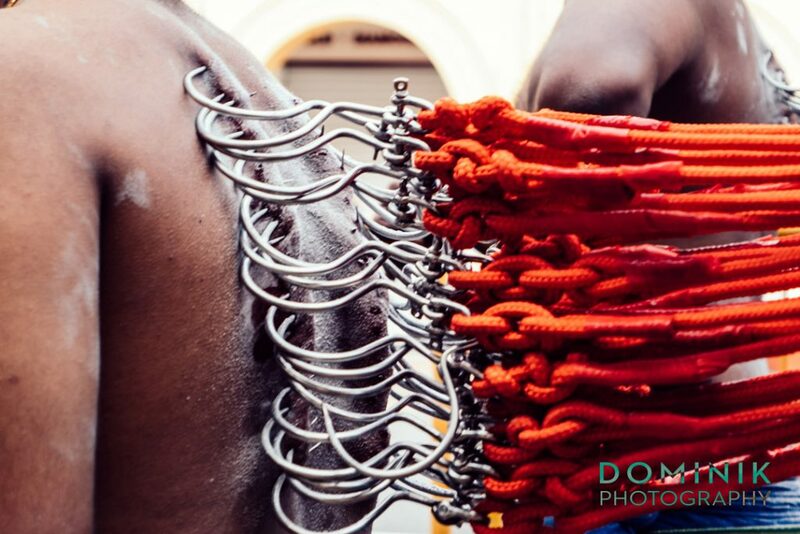 However, one thing that I take away from witnessing what those guys do to their bodies is that our bodies are amazing ‘machines’ and knowing how to control the body and mind can yield amazing results. Pain and pride and pleasure – you choose. Those guys don’t look too happy to me. 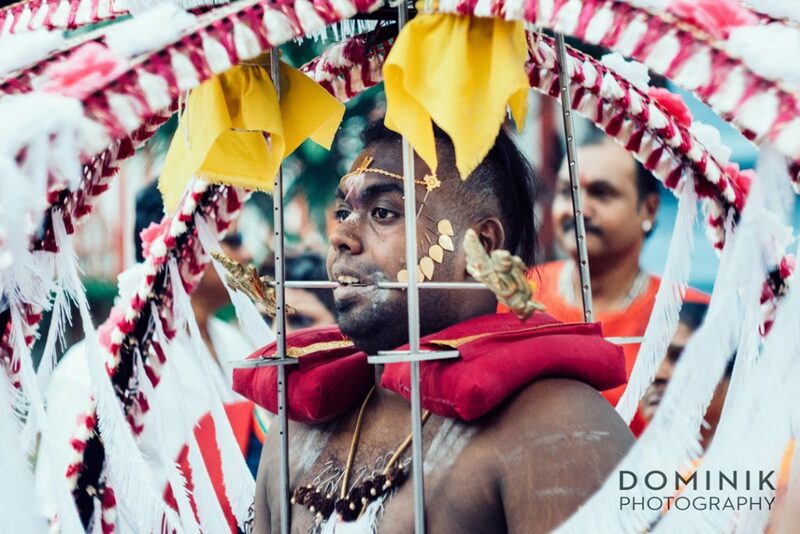 I think it is self-evident that Thaipusam is a great opportunity to take pictures. Here are a few things I recommend photographers consider. 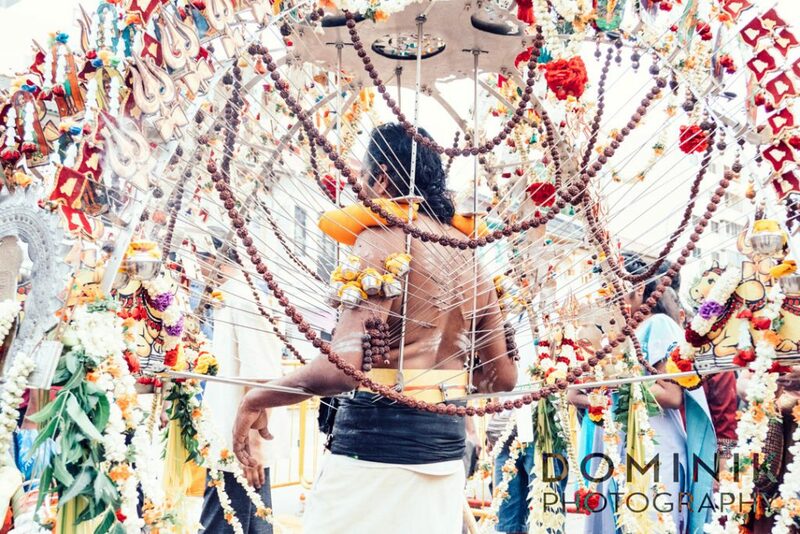 The devotees are pretty relaxed when it comes to photographing them. 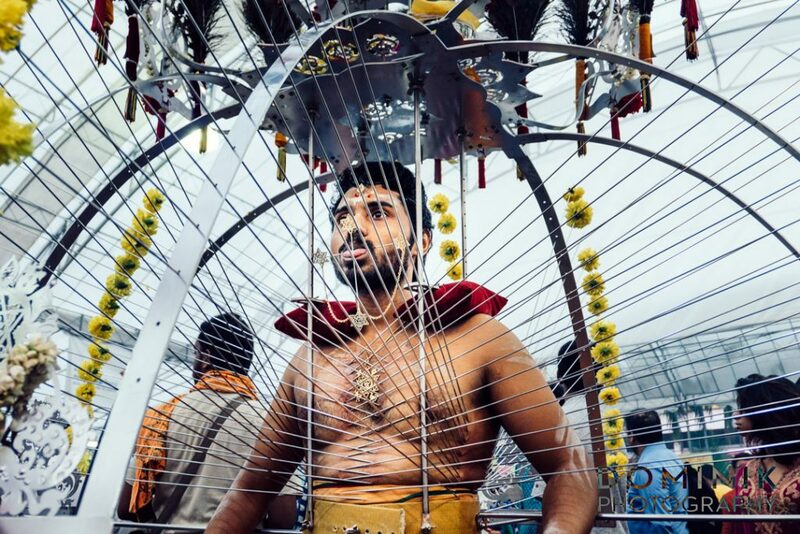 It goes without saying that you should pay respect and be at all times aware that this is not a carnival of some sort, but a religious pursuit. The authorities who manage the proceedings can be less tolerant as I experienced when they at several occasions hindered me from getting close to the action. Hardly surprising. 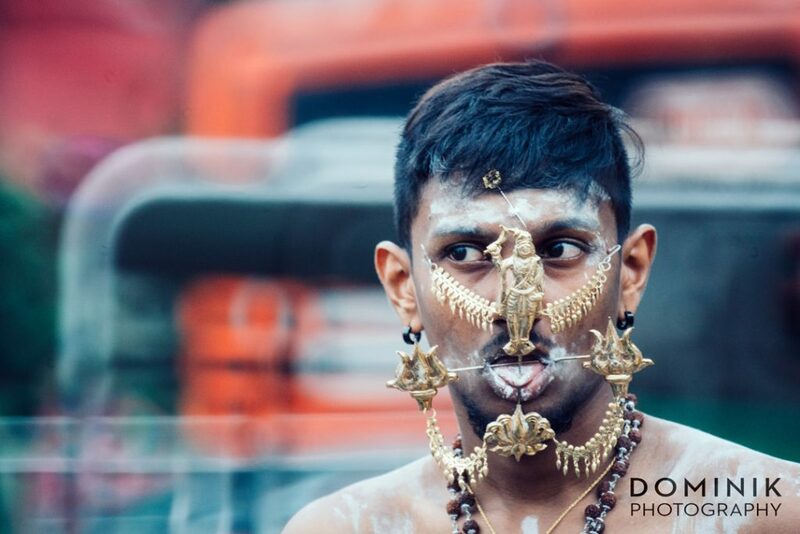 After all this is Singapore… Pun intended ! That prompts me to recommend that part of your arsenal should be at least one long lens. 70 – 200 mm or even a longer focal length. I used during this trip my newly acquired Lumix LX 10 a lot . And this little pocket camera mastered all the challenges I threw at it remarkably. The other camera I used was my Sony a7 r II. Onto which I had mounted the ‘dark knight’ – the venerable Mitakon 50 / 0.95. Using a lens that fast was a good choice for the low-light situations. The other wonder-weapon I used was my Tokina 500 mm / f8 mirror lens. I missed quite a lot of shots because people move a lot and manual focusing at 500 mm can be challenging to put it mildly. But I was still able to get a few keepers. I love this lens to bits in spite it being a hard-to-handle bugger. 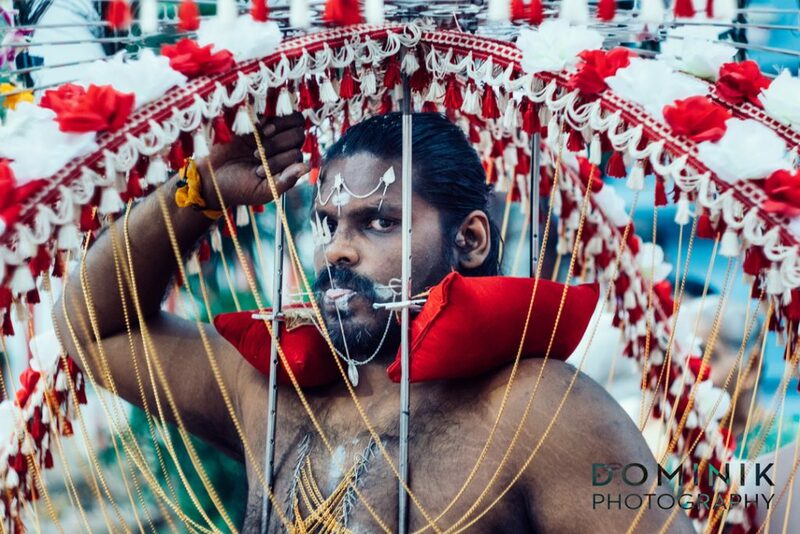 The best photographs of Thaipusam are to be had during the twilight hours in the morning and in the evening. Be prepared that there will be quite a lot of fellow photographers. All competing for the best spot. And as we know photographers can be a ruthless bunch. 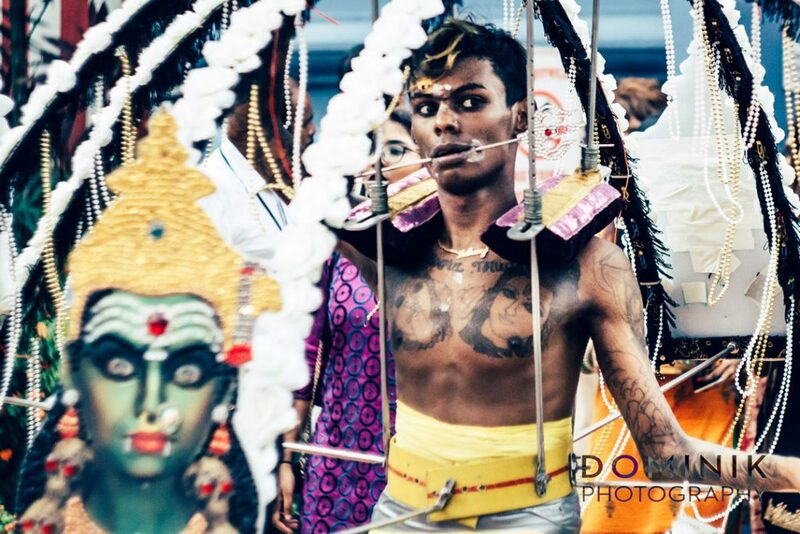 If you happen to visit Singapore especially for Thaipusam I encourage you to wander about all over Little India. 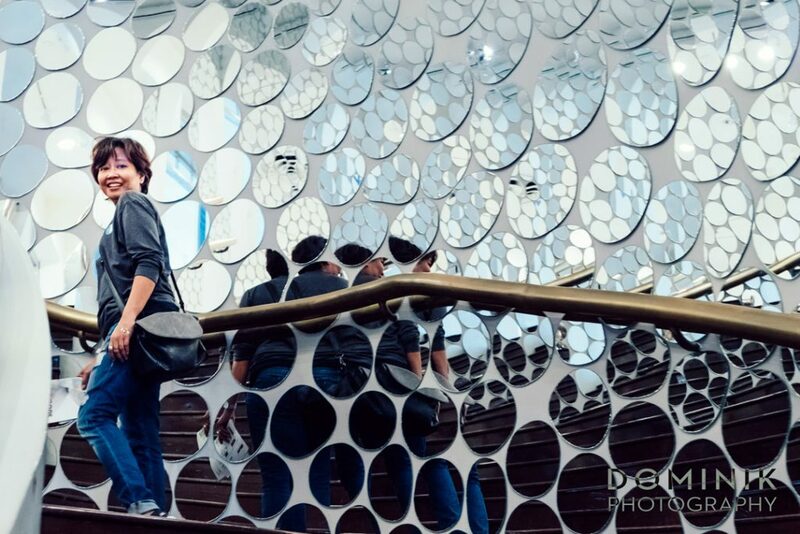 Because this part of Singapore lends itsel very well for photography. And most certainly has the best Indian food on offer. But I am digressing here. 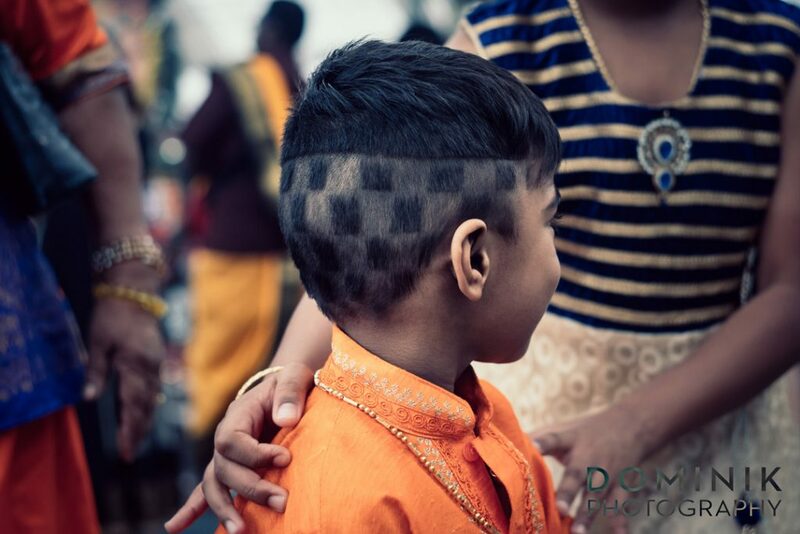 a really cool hair style ! what is he feeling at that moment ? 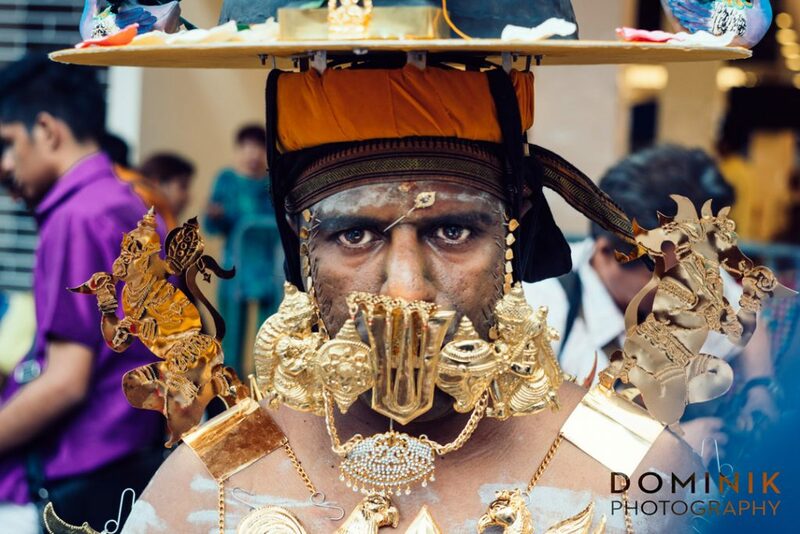 I hope you have enjoyed those photographs of Thaipusam in Singapore. As always I encourage you to leave comment below.